The Shop is Up! Devin Makes! Just a quick note to tell you …. you can find it HERE! You can also go to Etsy.com and search for ” Devin Makes”. I’ve been wanting to put up an Etsy shop since I learned Etsy existed! The problem is, I never really knew what I wanted to make and sell. I started making cases for my knitting needles, and my friends that knit started showing interest in them. I thought, “Hey! This might be something that other knitters would be interested in too! 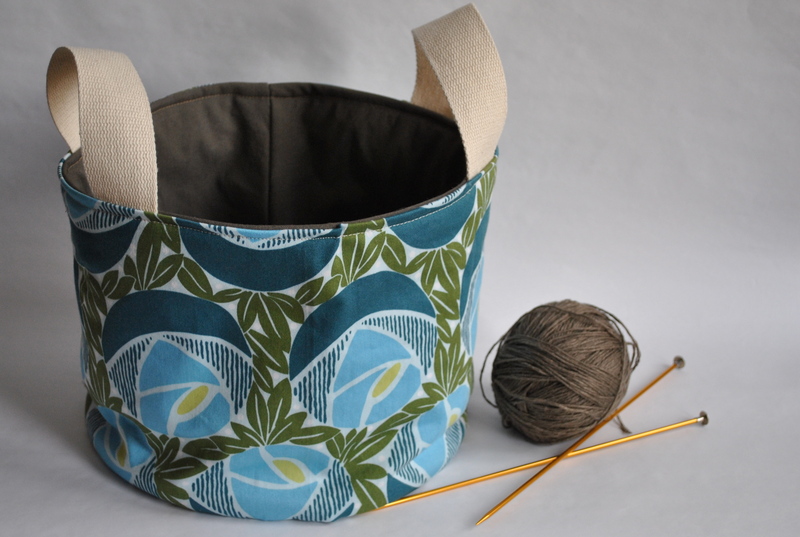 The first one I have made is to hold both your circular needles AND a set of interchangeable circular needles that are becoming very popular with knitters lately, but tricky to store. I tried to solve as many problem as I could. First, I hate when a knitting organizer isn’t labeled. No one wants to sift through a million pockets, trying to find a size 7, you know? Also, I had a set of interchangeable needles, and I didn’t want two separate cases. I knew there had to be a way to fit ALL the circular needles in one place, and I think this is it! There are also four pockets on the end for the extra cables, and tools. If you have bigger circular needles, like since 15 for example, two of the end pockets are deeper, to accommodate the bigger needles. I plan on making cases for DPNs ( double pointed needles) very soon. 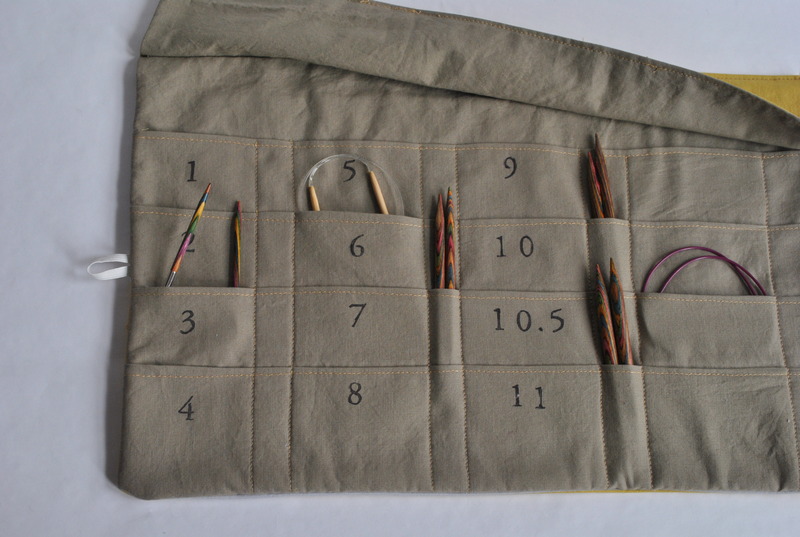 I have decided not to make cases for your normal straight needles right now, because there are already so many cases out there for this purpose. I also found that once my friends had been knitting a while, there isn’t much need for need for straights, as you could simply use your circular anytime you’d be using straights. Maybe someday I will make a case for those, but if seems like there is a greater need for storage solutions for circulars and DPNs. I also made a few multi-purpose fabric baskets. I made one originally to hold my current knitting project. 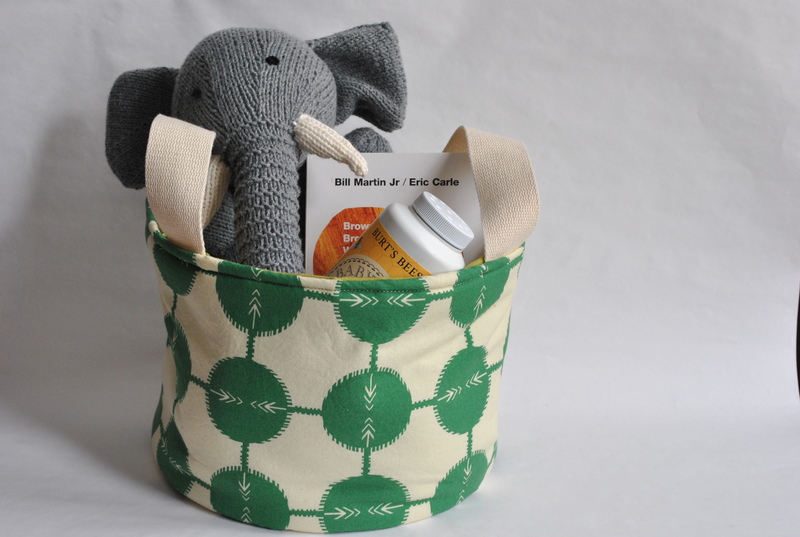 Then I made another and used it as a gift basket for a baby shower. I thought it would be super useful in the nursery too, I love the idea of wrapping a gift in something useful! I plan on making other things that appeal to non-knitters. Make some scarves and accessories, maybe some modern quilts, and other fun things. Keep my shop in mind, no matter if you are a crafter or not. ← I’m made stuff… to sell! My new favorite thing about spring is dirt under Isley’s fingernails! Beautiful pattern Angie.